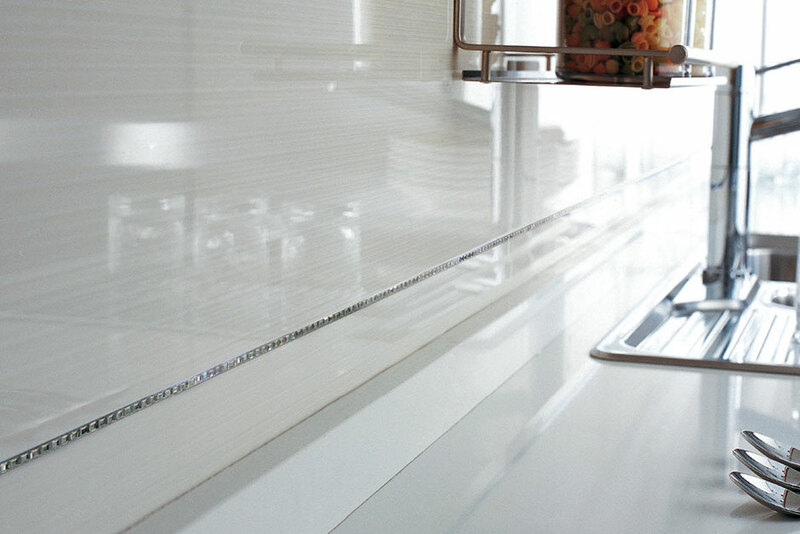 A profile is a strip of metal or plastic that is specifically designed to cover and protect the edge of a tile. The perforated anchor leg of the profile is embedded into the thin-set mortar under the tile during installation leaving only the decorative edge exposed. Profiles are used to transition from a specific surface to its surrounding materials. Examples include; transitioning from carpet to tile, tile to hardwood, a wall’s corner, where floors meet walls in wet areas or simply, just for aesthetic. 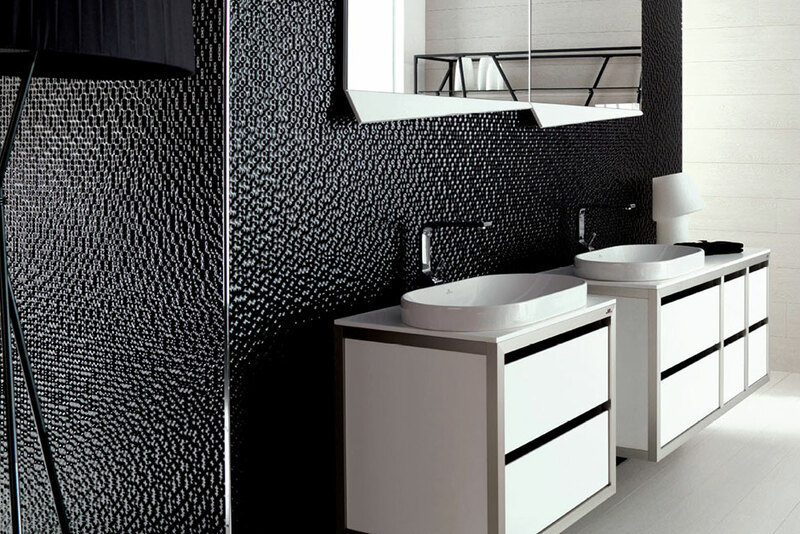 Porcelanosa has multiple product options, as well as design ideas for using profiles on the walls of your home. Profiles can be installed horizontally or vertically depending on what look you are seeking. 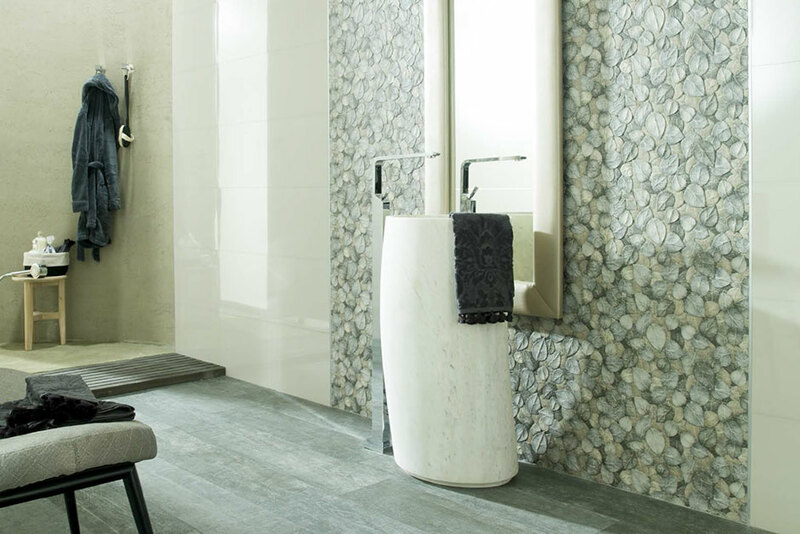 You can install a profile to transition from one tile pattern to another on the same wall and you can also use a profile as décor by utilizing it to break up repetitive tile in the space. Profiles are commonly used on wall corners; providing safety to the wall, as well as a smooth transition for tile installed around corners. 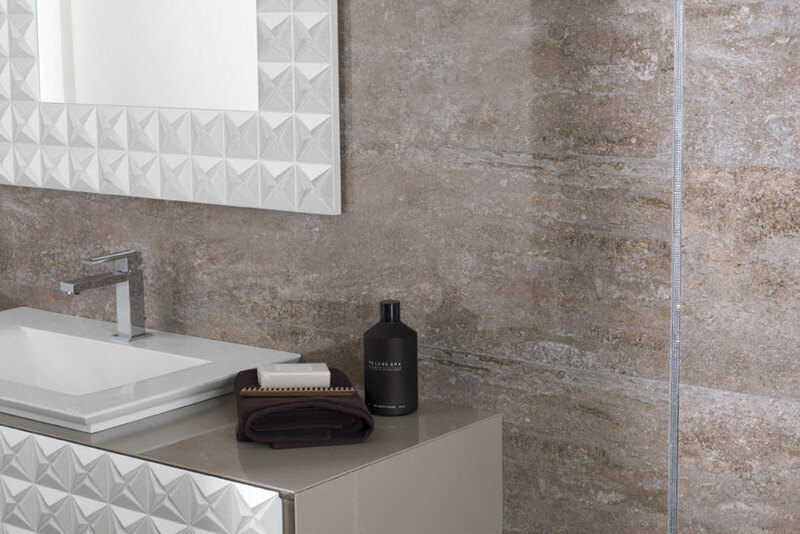 Porcelanosa offers two options for corner profiles; rounded edge or right angled edge. 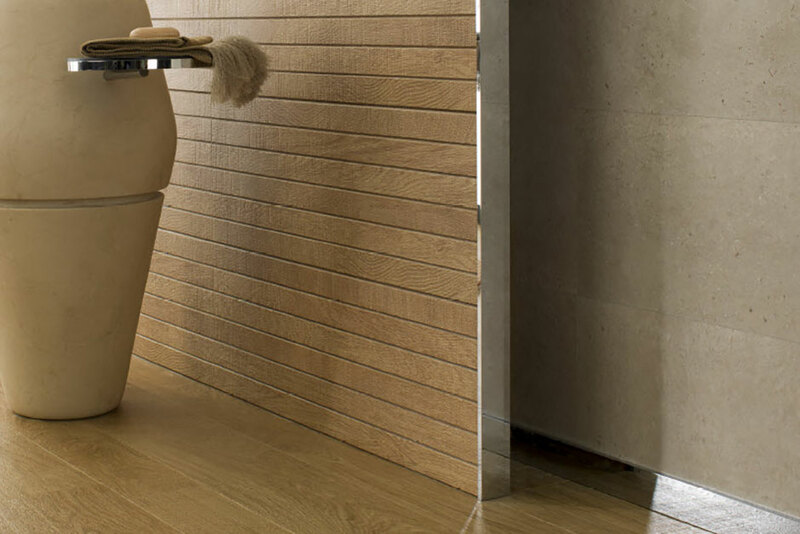 Porcelanosa’s rounded edge, ‘Pro-Mate 45’ is the most traditional solution due to its seamless installation and, is also shock-resistant. 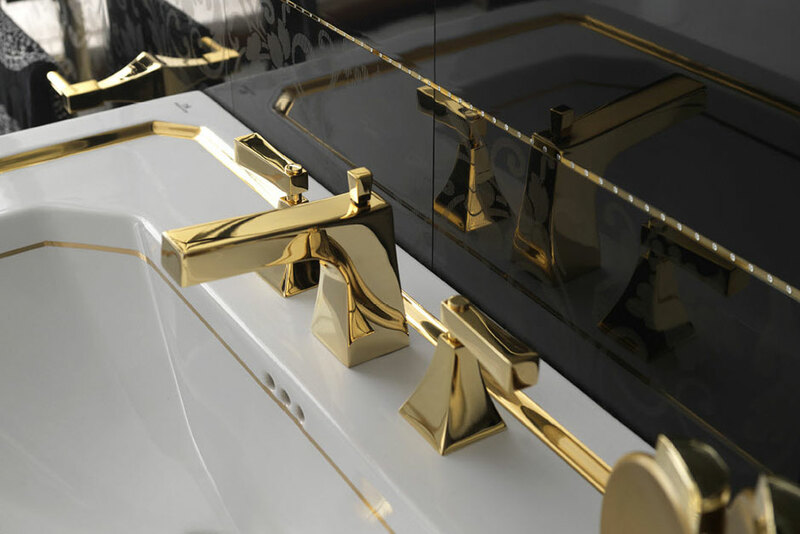 It is available in brass, stainless steel and aluminum and comes in comes in four sizes. The right angled edge, ‘Pro-Corner’ is normally installed after the tile and gives a slight decorative lip on the surface. 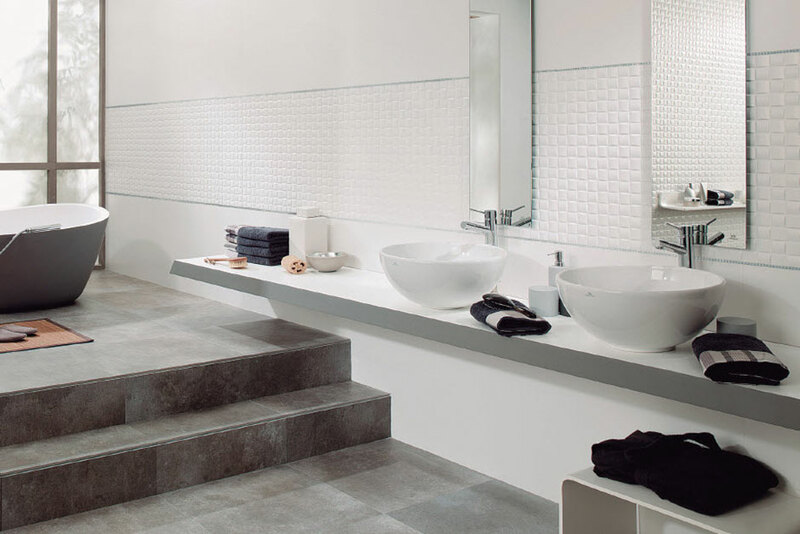 Porcelanosa floor profiles are more technical than wall tiles and offer a larger selection with varying abilities. The most traditional of the profiles is the ‘Pro-T’. This profile is used for transitioning from one material to another, for instance, moving from a tiled kitchen floor into your hardwood living room. However, this profile only works if both flooring materials are the same level. 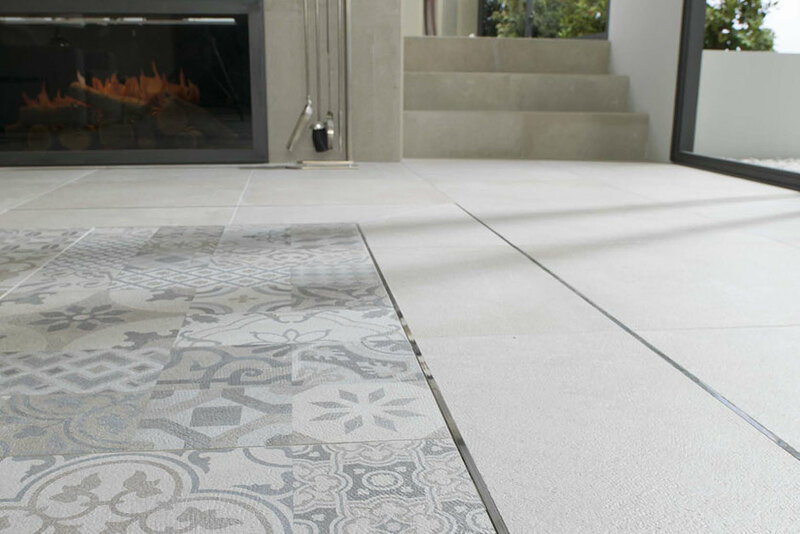 The ‘Pro-Level’ provides the same transition effect while providing a smooth transition if your floors are at slightly different levels. 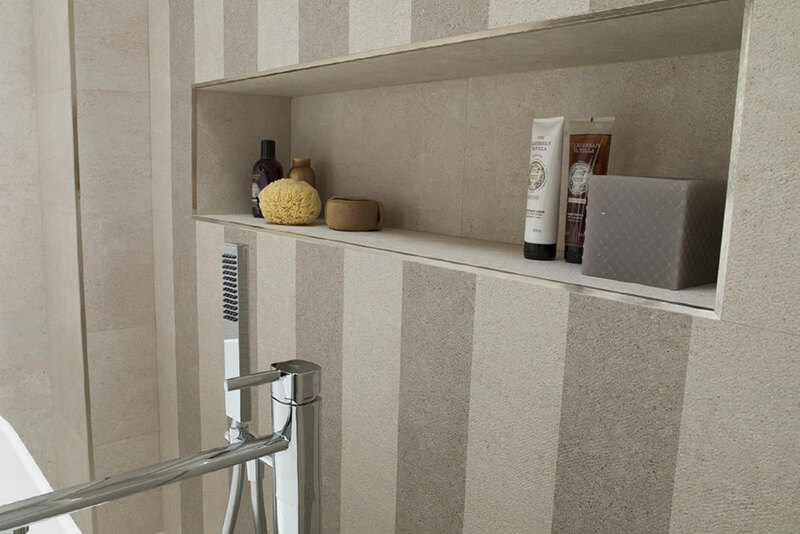 Porcelanosa also provides profiles for curved floor transitions, ‘Pro-Flex’ as well stairs ‘Pro-Step’. 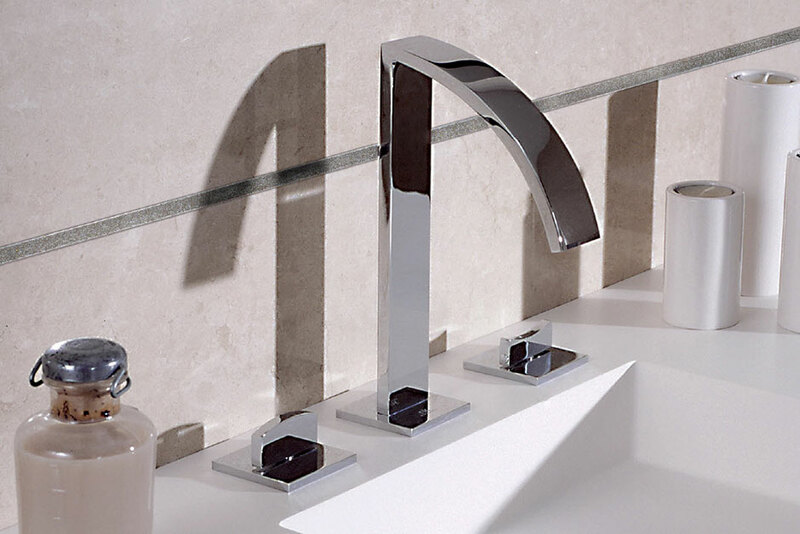 Profiles are great solutions for areas in your bathroom where the bathtub and/or shower meets the tiled wall. 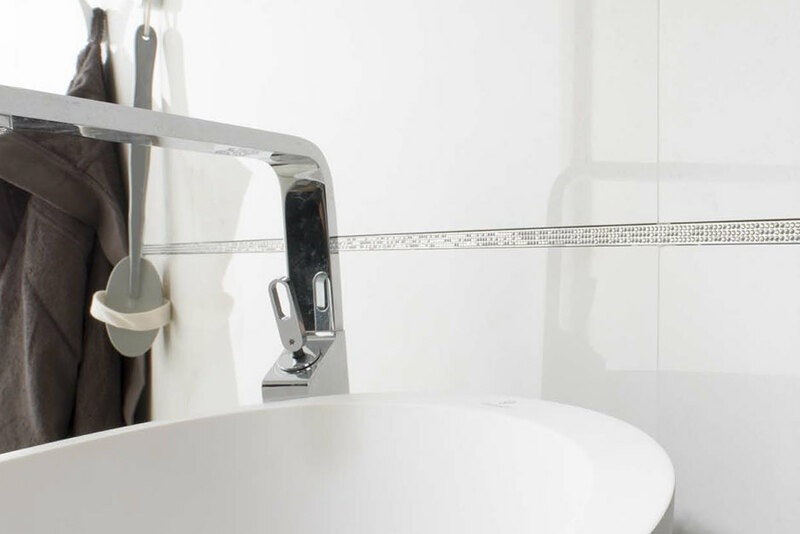 By installing our concaved profile, ‘Pro-Sanit’, you can reduce the risk of water damage while simplifying the cleaning and preservation of your bathroom. 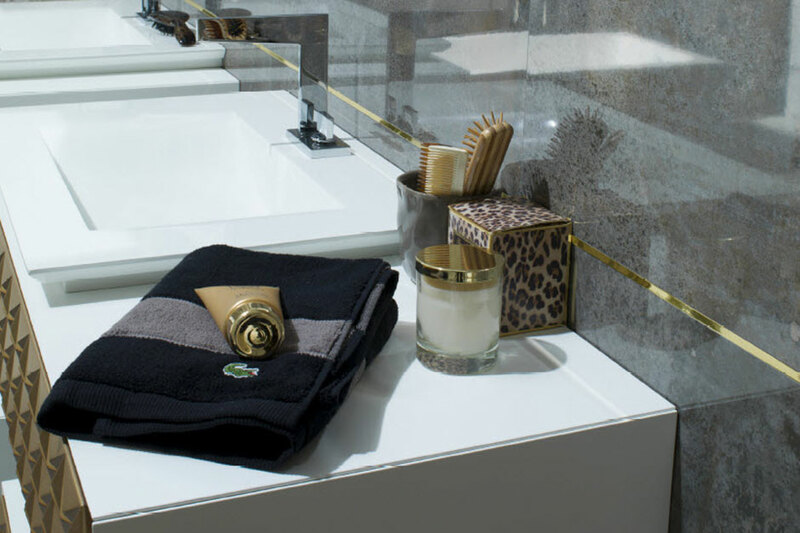 Porcelanosa’s ‘Decorative Line’ of profiles, still helps to meet all the functional requirements that our regular profiles do but also help to add some decorative flair to your walls. 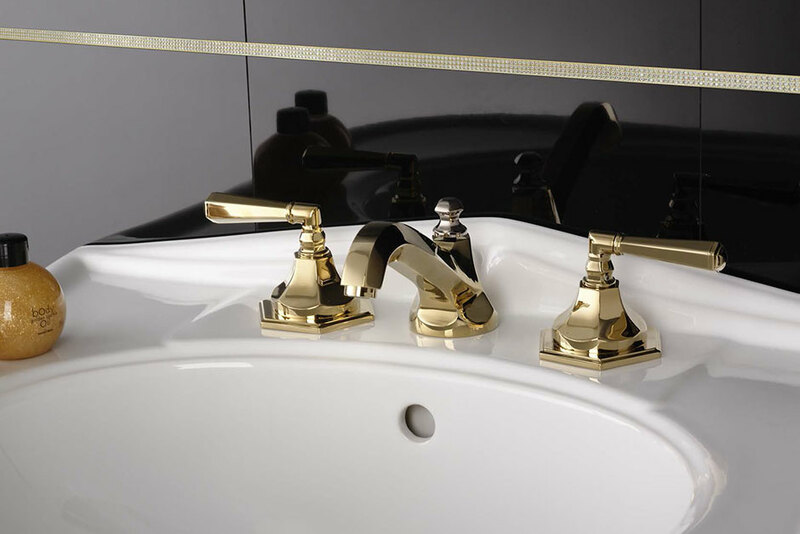 Options range from our ‘Gold’ and ‘Chrome’ collections to our ‘Elegance Collection’ that is designed with Swarovski Crystal. There are a multitude of ways you can utilize and install Profiles – culminating in various looks. What will you use them for?